Craft Activity: Folding a book from one piece of paper can be used in a variety ways. You need one piece of paper and a scissors. The larger the piece of paper, the larger the book.Early Literacy Aside--Empower: Have your children draw a story with a picture on each page. Let them tell you what is happening on each page and you write it down. Your children are learning how stories work and they are learning how books work. Both are skills that will help them as they learn to read. 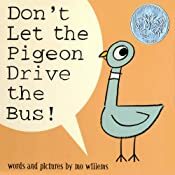 Read the book Don't Let the Pigeon Drive the Bus by Mo Willems. Then flip back to a page with big angry font and read it in an angry tone of voice while pointing to the words.Early Literacy Aside--Example: Parents, here you can see how the text is reflecting the meaning of the words. From time to time, pointing to the words and having your voice reflect what is being said, or how it is said, helps children understand the meaning of what is going on. In this way you are supporting both print awareness and comprehension. Introduction: I'd like to share this book with you called Dear Zoo by Rod Campbell. It can be tricky to use with little hands. Sometimes children tear the flaps because they don't have good coordination yet. They do like flap books because they can play with the book and it's a kind of peek-a-boo game. Early Literacy Aside--Example: This simple story has signs which supports the early literacy skill called print awareness, helping your child understand that print has meaning. Pointing to the words on the signs as you read the book helps children understand that these are the words we are saying. Read book. Point to the words in the signs as you read. Early Literacy Aside--Empower: As you go around your day, point out signs to your children. Even when your children notice logos like on gas stations, stores, or restaurants, this is the beginning of print awareness. Introduce book: This book about a train uses pictures for for some words. You can help me by filling in the words when you see the picture.Read book: As you read the book, point to the pictures in the text so that the participants (children and adults) will chime in with the appropriate words. Early Literacy Aside--Example: (Print Awareness) As you point to the pictures and have children say the words, you are helping them see that pictures represent words. This is the beginning to helping them understand that the written word also represents the words we say. Print awareness is one of the skills children need to be able to learn to read and you are helping to develop this skill when you point to pictures and words as you say words. Early Literacy Aside--Empower: (for Print Awareness) Having words as part of the text of the story is a fun way to write stories with your child. As your child tells you a story, you can write it down and let them draw pictures for some of the repeated words. They see the written words for their spoken words which develops print awareness. Early Literacy Aside--Example: (for Narrative Skills) Having your young children chime in with a word or phrase, as much as they can remember, is a first step to being able to retell the whole story. Retelling stories helps children develop narrative skills which later helps them understand what they read. Early Literacy Aside--Empower: (Narrative Skills) This is a cumulative story, where the lines are repeated. Having your child say the repeated phrases helps to develop retelling the story which develops their narrative skills, one of the skills that helps with later reading. Retelling stories helps develop their understanding of the story as well. Introduce book: Our next book is Eats by Marthe Jocelyn and Tom Slaughter. You will see that they use very stark and bright colors, making it easy for young children to see the pictures. There are just two words on a page, the animal and what it eats. Children let's see what the animal is right on the cover. A monkey! and he is eating a banana. Yummy! Read the book. Point to some of the words as you read them. 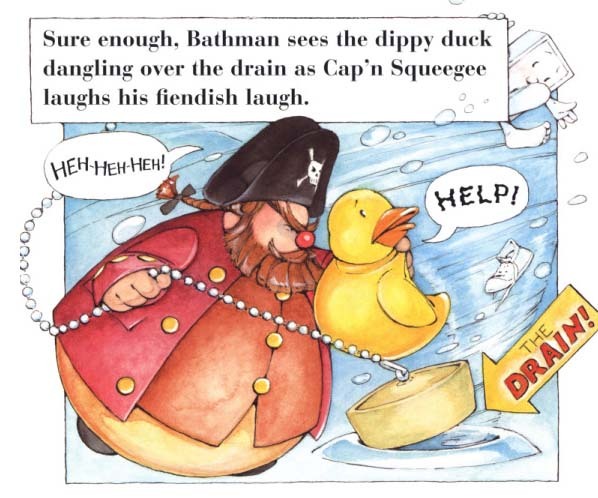 Early Literacy Aside--Example (for Print Awareness): You may have noticed when I read the book that I not only pointed to the pictures but also to the words. The words are so distinct. It is as if they are part of the artwork. Pointing to the words as well as the pictures helps your child focus on the print. They can see that pictures and words represent real things, part of print awareness, one of the early literacy skills that will later help them to read. For Vocabulary: Read the book. Add some more information as you talk about the pictures. Fore example: Bees like to eat nectar. See the black and yellow striped bees? They make a buzzing sound. Let me hear you make a buzzing sound. Good! Nectar is a sweet liquid that flowers have and the bees love to eat it. 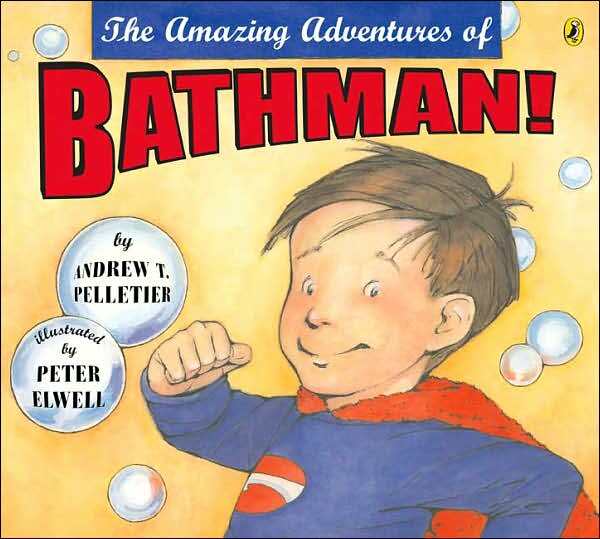 Early Literacy Aside--Example (for Vocabulary): Even though there are just one or two words on a page, you may have noticed that I said more than just those words when I read the book. When you read books with your children take time, especially with simple books like this, to add more information to the words on the page. This helps build their vocabulary, learn new words. Choose only one skill to hightlight (to say the aside). Read book.Say: Some of the pictures in this book have words on the trucks or on signs. Let's see what they say. Choose a page or two with some signs such as MILK or ICE CREAM or MOVERS and point to the words as you say them. Early Literacy Aside--Empower: In the book A Truck Goes Rattley-Bumpa, I pointed out the words in the pictures you help develop print awareness. When you are out and about, be sure to point out words as you talk about the signs you see all around you. Book Introduction: Start with book upside down. Children will say to "turn it the right way". If not, look at the upside-down book and say, "Oh I can't read it like this, I have to turn it right side up. Read title and point out author/illustrator, running finger under the words. Early Literacy Aside--Example: Some of the words in this book are written in large type. I'll be pointing to these words as I read the book. This helps your child notice the print and develop print awareness. Re-tell the story using flannel pieces with the children telling the story as you put the pieces on the board. As the whole story has four words the children learn it quickly. This book can also be used to demonstrate narrative skills. Book Introduction: Our next story is Mouse Mess by Linnea Riley. Notice the words on boxes and bottles as Mouse finds food to eat. Read the book, saying the words on the boxes and bottles as you point to them. Early Literacy Aside--Example: Pointing out the words we see on boxes and bottles is one way to help children develop one of the early literacy skills, print awareness, understanding that print has meaning. Activity: At the end of storytime put out cereal boxes, bottles, any containers with writing on it and let the children "read" them. Early Literacy Aside--Empower: Don't forget, when you go shopping or are just out and about, talk with your children about the signs and labels they see, just as we did with Mouse Mess. This is one simple way to develop your children's print awareness. Read the book You Can Do Anything, Daddy by Michael Rex.Craft/Activity: In this book, the boy is thinking of bad things that might happen to him. His father is figuring out how to save his son. I am giving each of you [adults and children] a piece of paper. On one side I want you to draw something you think of that is scary for you. On the other side I want you to think of something your a grownup could do to help you. It is all pretend, make-believe. What can you think of? Eary Literacy Aside: Having your children draw and then tell you about what they drew develops their narrative skills. It also gives us a window into their thoughts. You can also write down what your children say with the picture so that they make the connection between the written and the spoken word. This helps develop their print awareness, knowing that print has meaning.